In this week’s news wrap South Africa’s Department of Environmental Affairs has issued a quota of seven male leopards for trophy hunting during 2018; a hippo attacked and killed a Taiwanese tourist, and injured another, at a wildlife resort on Lake Naivasha in Kenya; customs officers seized rhino horns worth 1.3 million ($245,000) Turkish Liras at Istanbul’s Atatürk Airport; and a crocodile was successfully relocated from the famous Victoria Falls Bridge. 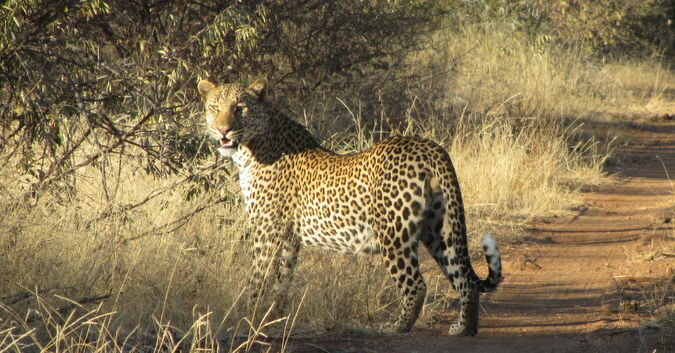 In a surprise move, South Africa’s Department of Environmental Affairs (DEA) has issued a quota of seven male leopards for trophy hunting during 2018. The quota allocation is five from Limpopo Province and two from KwaZulu-Natal, and the leopards must be male and older than seven years. 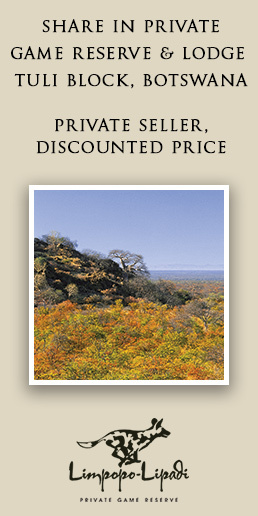 The hunting of leopards can only be undertaken in ‘specified hunting zones’, where scientific evidence indicates stable leopard populations. 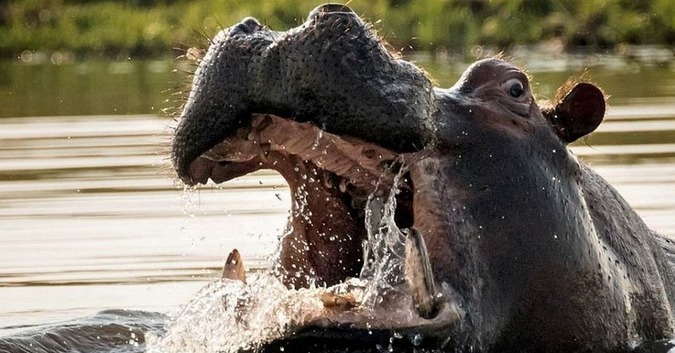 A hippo has attacked and killed a Taiwanese tourist, and injured another, at a wildlife resort on Lake Naivasha in Kenya. The two tourists were taking photos of the hippo on the shores of Lake Naivasha when it attacked. Chang Ming Chuang (66) was bitten in the chest and was pronounced dead upon arrival at Naivasha District Hospital. His colleague, Wu Peng Te (62) survived with minor bruises. Kenya Wildlife Service (KWS) posted on their Twitter account announcing the death, saying that they are “tracking the hippo”. Originally KWS said the two tourists were from China, but Taiwan’s foreign ministry said the two were from the self-ruled island. Kenya has no formal ties with Taiwan, recognising only China and its claim to speak for and represent the island internationally. 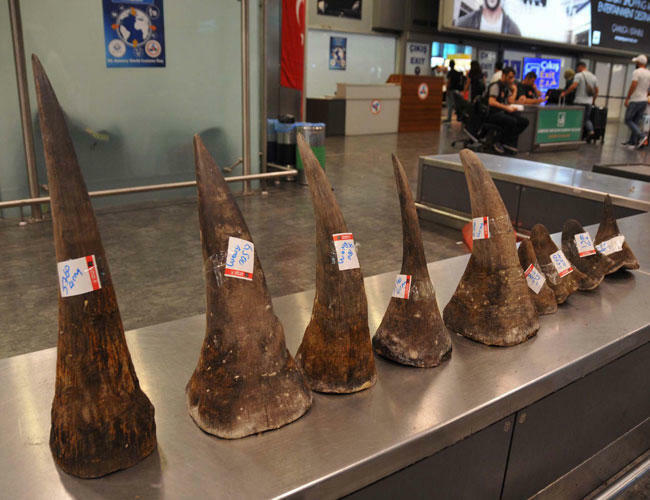 Customs officers seized rhino horns worth 1.3 million ($245,000) Turkish Liras at Istanbul’s Atatürk Airport. The officers spotted a suspicious piece of luggage belonging to a passenger travelling from South Africa to Istanbul. The famous Victoria Falls Bridge, situated between Zimbabwe and Zambia, had an unexpected visitor on Sunday in the form of a 2-metre-long crocodile. 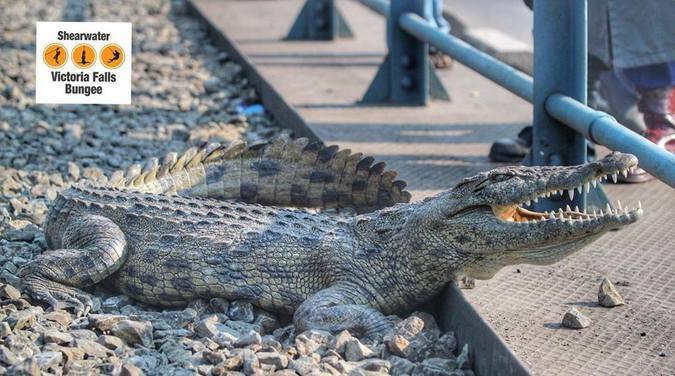 The crocodile was found basking in the sun alongside the railway tracks, with many tourists and drivers stopping to take photos and videos of the unusual sighting. Shearwater Bungee, who offer bungee jumping off the 128-metre-high bridge into the gorge below, captured video footage of the crocodile being captured by local expert Paul Teasdale, which they shared on their Facebook page.